My wife is Trinidadian and we are looking at the idea of selling Caribbean food, such as chicken/lamb curry, roti (like a nan bread), fried chicken, rice and peas all Trinidadian style and various other Caribbean food. Obviously this would be aimed at the lunchtime/night time market. We would need to purchase a mobile catering van with a Bain Marie with at least 4 pots; preferably 6.
we would also look at providing a couple of vegetarian meals. 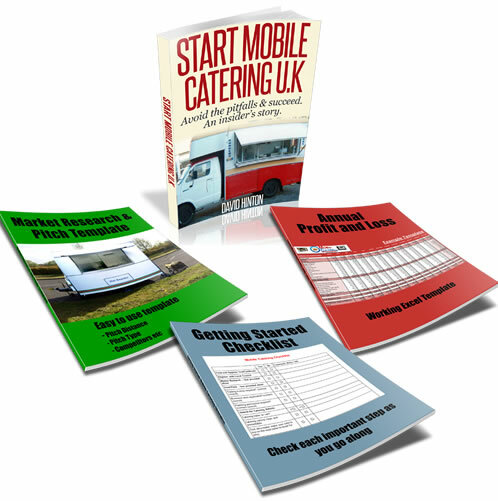 I managed a restaurant for 8 years putting in place HACCP's and other legal requirements so am quiet conversed with the catering industry, but as you have already mentioned previously, our biggest quandary is finding a suitable site. I am looking at your suggestions mentioned earlier. I feel that a market area, boot sales or sporting events may be the best place. Many thanks for all you assistance so far. Selling this type of food which coincidently is some of my favourite, may prove challenging. I still think selling Caribbean food unfortunately is a niche market and finding suitable customers who are aware of the joys of this type of food is still considered work in progress. Although in saying this car boot sales and markets could provide enough people to make this business work for you. Why not offer samples of your food to get people smelling and tasting this type of food. Have you considered carnival and related events? I know of a few people who are thinking setting up their catering trailer at various carnivals throughout the country. Caribbean catering is also in good demand, if you chose to expand in this area.